Editor's Note: I want to introduce you to our new student intern, Ben Ryan. As his first assignment for PlannersWeb, Ben attended a conference dealing with resilience and ecological design sponsored by Antioch New England and the U.S. EPA. One of the sessions he attended focused on "permaculture" -- a topic many of us have heard about, but not really understood. I asked Ben if he'd write up a summary of the session to share with our readers. Not many planners and planning commissioners are familiar with the term "permaculture" -- but it's starting to come up more frequently in discussions about planning, climate change, and local resilience. That was the case at last month's "Local Solutions" conference, sponsored by Antioch University New England and the Environmental Protection Agency (EPA). Steve Whitman, AICP, is a planning consultant with New Hampshire-based Resilience Planning and Design LLC. He's also taken on the role of an educator on permaculture and ecological design as he led conference attendees through the basics of what permaculture involves and how it relates to planning. So … just what does a permaculture approach involve? First, it is grounded on three ethical principles: care for the Earth; care for People; and Fair Share. "Care for People" means “looking after self, family, community” and beyond. "Fair Share" involves taking into account the limits of resources and how surpluses are redistributed within various systems. With these ethical principles in mind, Whitman provided an overview of what he referred to as "The Twelve Guiding Principles of Permaculture." As permaculture is solutions-oriented, it is important to gain as much information as possible by observing and understanding the existing ecological system. As Whitman put it, observing “the type and way development occurs around the interaction with ecology,” can aid planners in understanding how to improve their communities’ resilience to threats and create a more harmonious relationship between the natural and built environment. Using the sun’s energy is a fundamental concept within permaculture design. It is an example of capturing and storing energy while addressing the ethical principles of care for earth and people. An old English proverb says, “Make Hay When the Sun Shines." Using the sun’s energy is a fundamental concept within permaculture design. It is an example of capturing and storing energy while addressing the ethical principles of care for earth and people. The incorporation of solar energy systems into both planning and design of communities has the potential to reduce a community’s vulnerability to external energy "shocks" (in terms of availability or pricing) as well as mitigate the sources of greenhouse gases. In the various situations where implementing solar-based energy is not feasible at the household level, planners should consider developing communal sites. Obtaining a yield or a profit is needed for the ongoing success and longevity of any project. 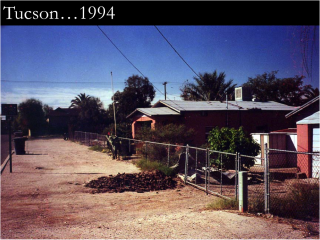 The implementation of low-impact development strategies (LID) with the use of permaculture design, Whitman suggested, can be profitable -- as well as maintainable over the long term -- meeting a goal of economic resilience. "If sites deal with stormwater," he noted, "in a multi-functional approach, they will get those yields." What's more, with a natural approach to stormwater management, you can get multiple yields: including natural habitat for wildlife, and plantings for food and medicinal use. Plus a natural approach can help reduce heat-island effect, and result in a more aesthetically pleasing landscape. 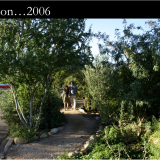 It is helpful for planners to accept feedback on planned actions not just from individuals and the community, but also from the natural environment. Feedback from the natural environment requires close observation -- so you can determine what is working and what isn't. In some ways, that's not all that different than listening closely to what people in your community have to say at planning meetings about what's working and what isn't. Both kinds of "observations" require skill and experience, though of a different nature. How permaculture can shape the built environment. 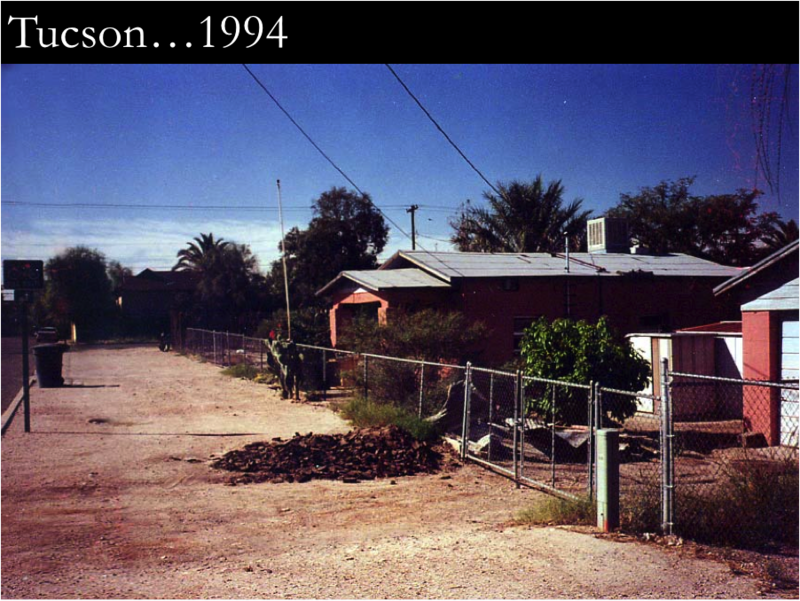 Photos are from Tucson, Arizona, above 1994; below right -- 2006. Photos courtesy Steve Whitman. Permaculture, Whitman explained, strives to incorporate renewable natural systems into development, or if that's not possible, design in a way that mimics natural systems as closely as possible. Another proverb: "waste not, want not" reminds us that waste can lead to scarcity and hardship. 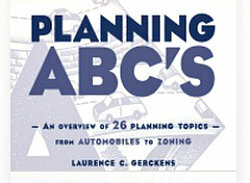 When drafting plans or resiliency strategies planners can emphasize, for example, that LID strategies serve to minimize waste. Permaculture design calls for finding broader patterns before implementing detail-oriented strategies. For example, before developing stormwater runoff mitigation and storage plans for a specific project, the significance of the larger watershed and hydrology needs to be understood. By focusing on this bigger picture, you can use that knowledge to develop a solution that fits within the broader range of projects occurring within the watershed -- in other words, better ensuring that all projects are more closely integrated with each other. By emphasizing integration (i.e., the inter-relationship of the built and natural environment) opposed to their segregation, Whitman explained, one can increase yield and reduce waste, thus increasing resilience. 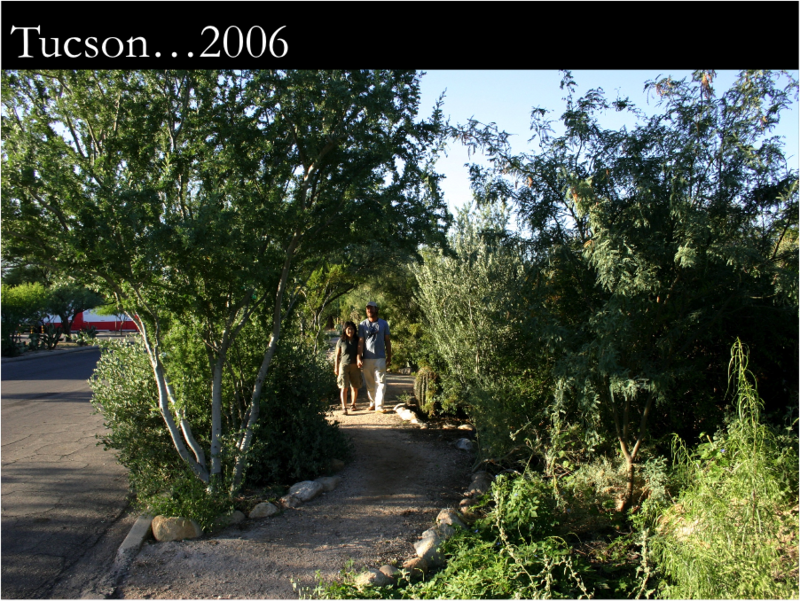 “Cohousing developments are a great example of the sharing of resources" (i.e., integration), said Whitman. Cohousing projects often involve residents sharing facilities (such as a large common kitchen and dining area), as well as sharing the open spaces and natural areas. 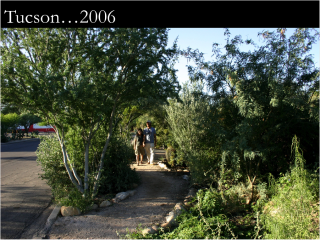 In co-housing, these areas are often designed to combine natural stormwater management with landscaping and other needs -- such as gardens. Starting small enables you to identify problems and evaluate what works and what doesn't. Keeping solutions small and slow to grow can help planners incorporate permaculture design into plans dealing with climate adaptation and resilience. Although all of these principles are scalable, it is best to implement small solutions so that the outcomes fall under the parameters of the previous principles, like obtaining a yield and emphasizing self-regulation. Small and slow solutions to problems, Whitman pointed out, tend to work best when it comes to permaculture. Starting small enables you to identify problems and evaluate what works and what doesn't -- without the large cost that might occur if you hadn't "tested the waters" first. The old saying, "don't place all of your eggs in one basket" relates to the benefits of diversity. In permaculture, it is a diversity of species and actions which provides a vital aspect of resiliency. We tend to live, and often prosper, on edges between large natural systems; for example many cities are built on estuaries (the edge between the salty ocean and the freshwater of a river). It is in these places of intersection where diversity is greatest. When thinking about planning, the edges between larger natural systems are as important as the smaller edges between the natural and built environments (for example, the green strip between the sidewalk and the road). 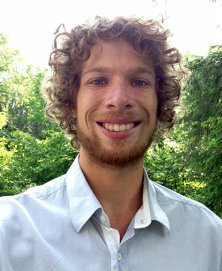 Ben Ryan has recently joined PlannersWeb as a student intern. He is a senior at the University of Vermont, studying Community and International Development, which includes topics ranging from traditional economic development to ecological place-based design. Ben travelled to Bangladesh in 2008 and, again in 2010 to research climate-induced migration as well as the socio-economic inequity associated with migration to urban slums. 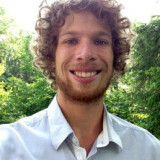 According to Ben, his main focus has been to "strive to understand the intersection between human society, and its' integrated and systemic patterns in development to better address the global issue of a changing climate and the associated impacts." Learn more about Planning, Permaculture, and Resilience: take a look at Steve Whitman & Sharon Ferguson’s "Taking the Permaculture Path to Community Resilience" and David Holgrem’s "The Essence of Permaculture." There are also quite a few videos about permaculture available on YouTube. Two worth watching -- which are set out below -- include an overview of what some students at the University of Massachusetts are doing to implement permaculture practices, and a summary of basic permaculture design principles by Peter Bane, editor of Permaculture Activist magazine.